Coconut chia brown rice pudding is a healthy dessert that is naturally sweetened with maple syrup and coconut sugar. 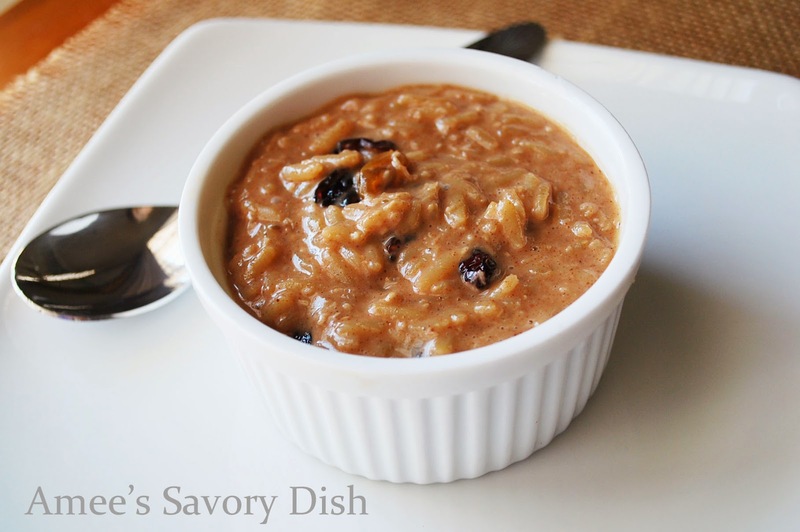 This is an easy dessert recipe for brown rice pudding that everyone will love! Made with slow digesting carbohydrates, healthy fats and natural sweeteners this coconut chia brown rice pudding recipe makes a great post-workout snack. In a saucepan, over medium-low heat, combine cooked rice, coconut milk, dried fruit maple syrup, coconut sugar, shredded coconut, vanilla and spices. Heat through while constantly stirring, until pudding begins to thicken. Serve immediately and top with optional toppings. This pudding is good reheated, but you may need to a little more coconut or almond milk to achieve a creamier texture. If you enjoy naturally sweetened desserts like this coconut chia brown rice pudding, I think you’ll dig these healthier cupcakes, too!